Actual Size: 51" x 40"
Place your bets & get ready for the fun. 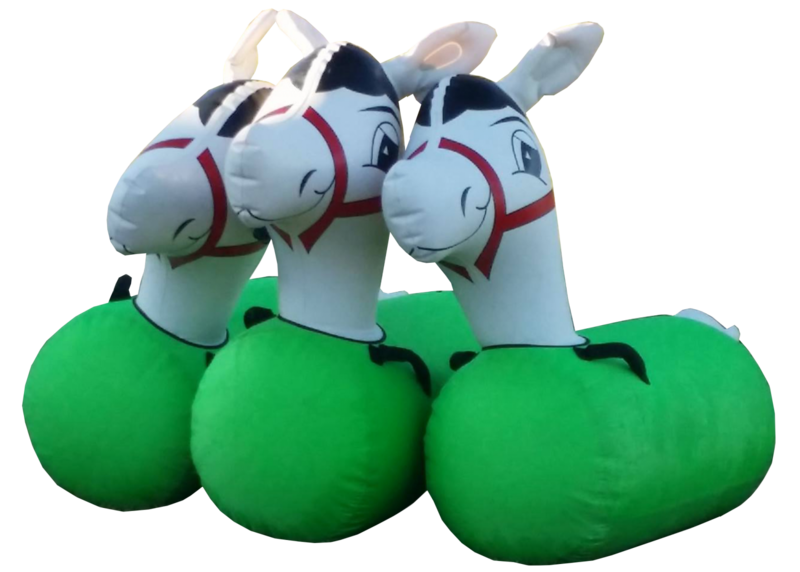 Riders will have a blast hopping down with this pony hop inflatable horse, as the crowd cheers on thier favorite horse to a photo finish. Recommended for kids of 15 years old to adults. The $30 rental price is for each horse, add as many as you need and start your own Derby!!! Don't forget to check our obstacle courses and inflatable slides... how about a cotton candy machine?